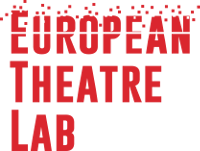 A mixed-reality project and co-production by Théâtre de la Manufacture Nancy (France), Badisches Staatstheater Karlsruhe (Germany) and Kote Marjanishvilli State Theatre Tbilisi (Georgia). Associated artists: Bruno Cohen (Urban User Lab Nancy), Chris Ziegler (Moving Images, Arizona State University), Jan Gerigk, Bernd Lintermann (ZKM Center for Art and Media Karlsruhe). “Stage Your City” is merging the trends of digitisation and participatory theatre. It plays with augmented reality, 360° video, gaming elements and an app-guided city walk. The participatory approach brings theatre directly into the community. In a dystopian fairy tale about a future city ruled by artificial intelligence, the audience is asked to explore their city interactively and make decisions about the question in which world they want to live in 2070. 2018: Internet, mobile and connected devices, geolocalisation… They create new forms of interaction and new habits. In view of the multiple deregulations in the world, recently a new stage of industrialisation has developed, going through a total encoding of the material and symbolic goods of human activities. This new data economy promises endless new possibilities and the reduction of global incertitude. 2052: Human activity is efficiently managed by artificial intelligence. The algorithmic rationality takes care of a pleasantly regulated and soothed social life. But in this dystopian world, nothing works anymore. Apart from the speed of information transmission, the accumulation of data and the controlled city that has become perfectly safe, Zigmagora is witness of a world without emotion and affect. Mission to us: recover lost emotions, values of brotherhood and traces of humanity. To save what can be saved, Zigmagora comes back to that very moment when it all began and confides an essential mission to each of the people present: find the lost emotions, follow the traces of humanity, the values of brotherhood, sharing and equality.